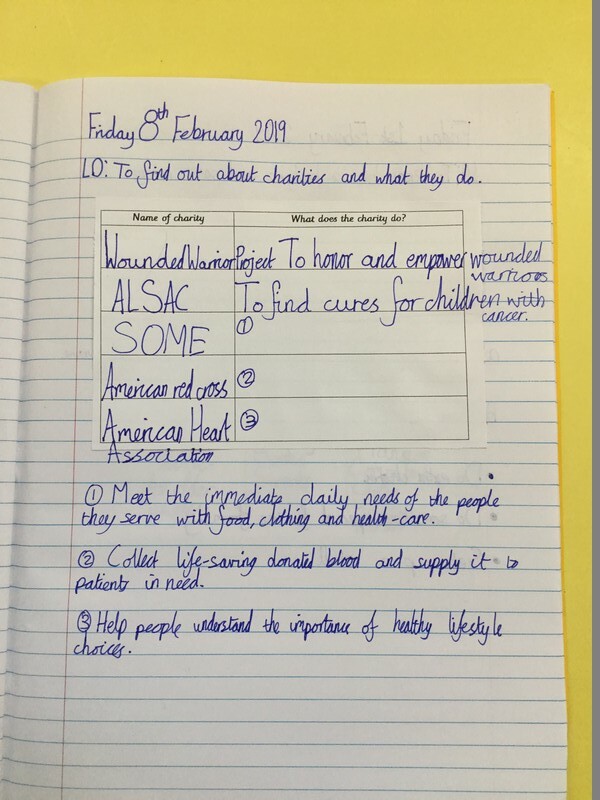 Continuing their topic of money, year 4 have been discussing what a charity is and what different charities do. 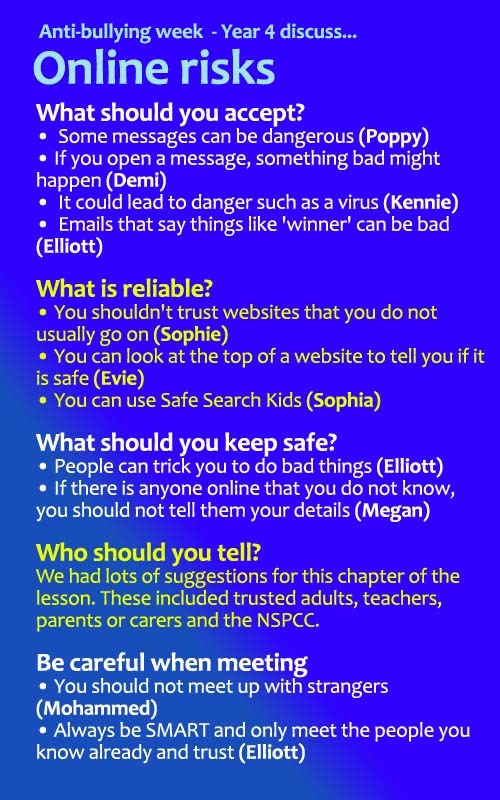 After talking about which charities they already know and what they do, the children used the iPads to find out about some more charities in the world and what they do to help. 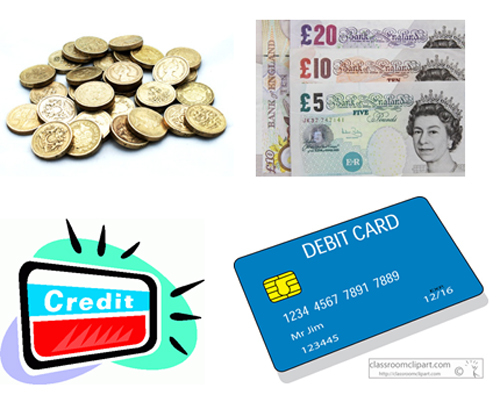 We also discussed what you might use each method of payment to buy, for example the children said that you would probably use coins to buy sweets or a drink at the shop. 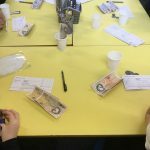 We then went on to discuss what the risk is of someone borrowing money from the bank and we related this to borrowing something like a bag from someone. 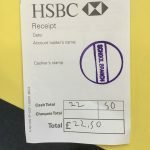 The children realised that just like you might never get your bag back, the money might not get given back to the bank. 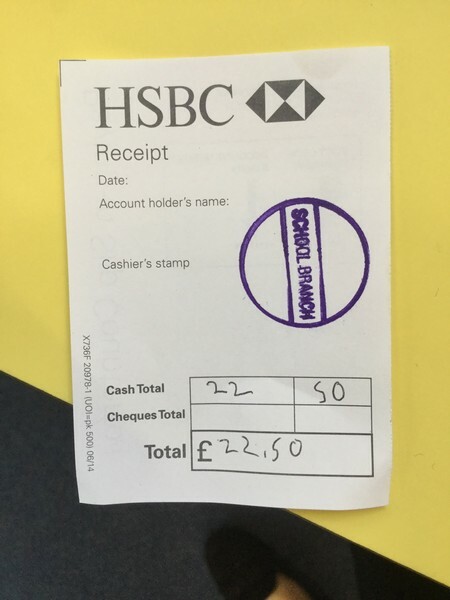 Year 4 have started discussing money in PSHE and today we were discussing why it is important to keep track of our personal money. 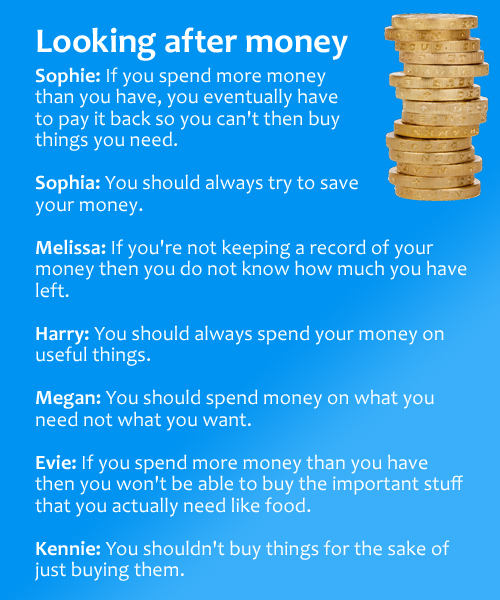 We also spoke about what might happen if you didn’t keep a record of how much money you have left and what the disadvantages of this would be. 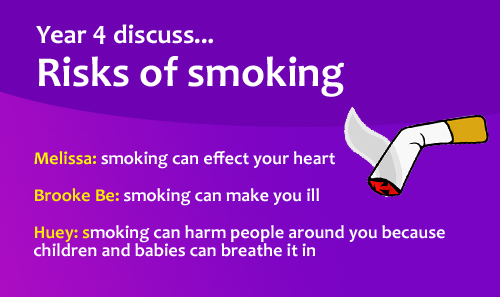 As part of Year 4’s PSHE topic this term the children have been discussing the risks of smoking. During the class discussion we spoke about why people might start smoking, what the risks of smoking can be and also why people might find it difficult to stop. Why do people find it difficult to stop smoking? 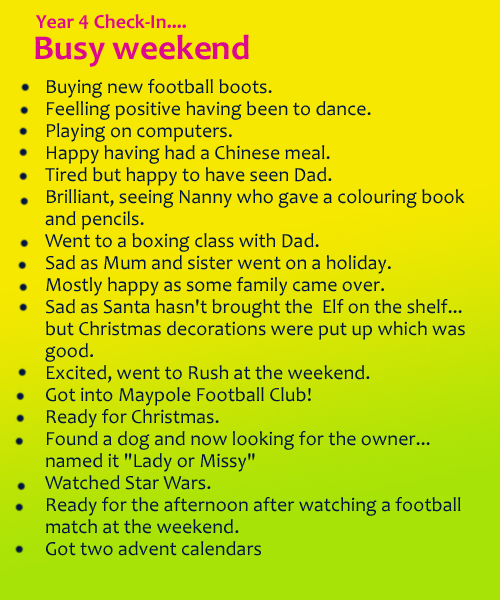 What busy weekends everyone has had! In Year 4 we decided that we should have a circle time around friendship. We started off discussing what a friend is and how friends should treat each other. 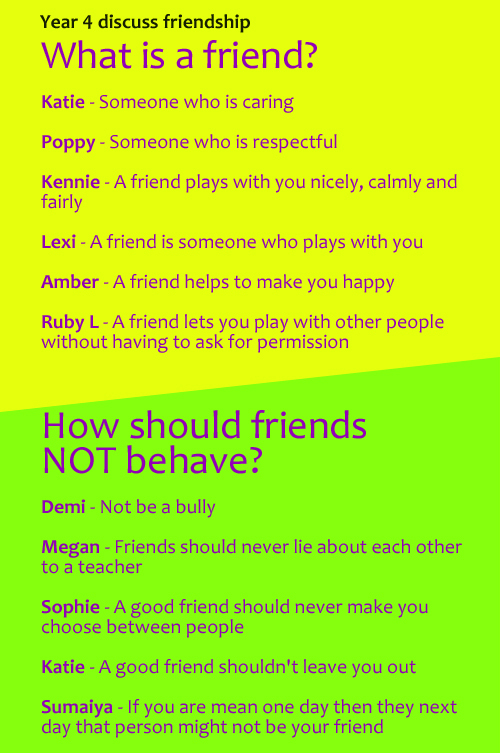 After hearing many lovely answers we then moved on to discussing how friends should not behave towards each other. Many different things were bought up and as a class we agreed with most things that were mentioned. 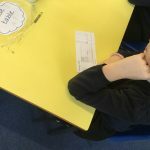 Friendship is something we are working really hard on in Year 4 at the moment and the children have shown that they know how important it is to be a good friend and treat friends in the right way.